A lot of guys have symptoms of depression and anxiety as part of a real or suspected testosterone deficiency. It can be very difficult determining whether testosterone influences depression or anxiety, or whether they're depression and anxiety are the result of independent health or psychological issues. To help wade through the sea of what causes what, here are a few major guidelines to follow if you have anxiety or mood problems. Test cortisol: 4x/day salivary cortisol, ACTH blood test. You should also consider getting a 4x per day salivary cortisol test, which you can order online (such as through canaryclub.com), or a savvy doctor will have available for you. An ACTH blood test can also be useful; this is the hormone released from the pituitary in the presence of stress which in turn releases pregnenolone, progesterone, cortisol, and other adrenal hormones. Cortisol is a very useful signal for stress, and far from being a "bad" hormone, it's an incredibly valuable one given its intricate influence in turning down norepinephrine, CRH, and ACTH (effectively the entire stress response), which is why international hormone expert Thierry Hertoghe calls it the "antistress hormone". If you didn't have cortisol at appropriate levels for any stressor (physical or psychological), you would never tune down your stress response! Both low and high cortisol can cause mood and anxiety problems, the former because low cortisol in the presence of high norepinephrine and epinephrine (which are elevated any time you have stress) means you have less "brakes" to slow down the stress response, and can cause people to be much more sensitive to stress and exhibit signs such as a startle reflex, insomnia, and anxiety. Chronically high cortisol, on the other hand, indicates that your body is responding to a stressor, which means high cortisol indicates that something is going on that you should investigate, be it a very stressful environment, poor coping skills, or an infection or other health problem. The somewhat controversial diagnosis of adrenal fatigue occurs when your adrenals are stressed for so long that they begin eliciting less and less cortisol and other hormones (such as DHEA), leading to a low cortisol situation mentioned above. Note: measuring cortisol through blood isn't very reliable, given that many people are stressed by being in a doctor's office or when getting blood drawn; therefore, salivary cortisol, which you should do when you're at home and have a day off, is the way to go. 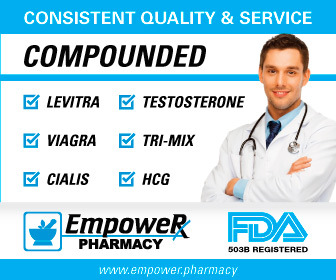 Comprehensively test testosterone: total T, free T, SHBG, estradiol, LH/FSH. This is an easy one, but many doctors only pull total testosterone, and many don't even pull or pay attention to estradiol, which could be responsible for low testosterone if it's too high. Free testosterone is what really counts, but make sure your SHBG isn't too low or else you'll run through testosterone too quickly if you start TRT. According to anecdotal reports by Drs. Mariano and Crisler, optimizing thyroid can increase testosterone (and it turns out that optimizing cortisol influences cellular thyroid levels, so when it comes to hormones everything is interlinked). Remember that LH and FSH are important for endogenous testosterone and sperm production, respectively. According to Datis Kharrazian, LH is important in producing dopamine (the "feel good" neurotransmitter and catecholamine, which helps with a sense of well-being and motivation), and in his experience some guys who start testosterone because of mood problems related to low dopamine from low LH can increase their mood problems by further downregulating LH and therefore further lowering dopamine, given that LH and FSH tend to shut down after being on testosterone-only TRT. This is why clomid and HCG are viable alternatives, especially if you're concerned about fertility. Testosterone also increases dopamine, and increasing dopamine can (according to Dr. Mariano) decrease norepinephrine, a major stress signal inflammatory in nature that can cause feelings of anxiety. (Nerd aside: according to stress expert Robert Sapolsky, people with anxiety disorders tend to have high catecholamines norepinephrine and epinephrine, whereas people with depression often have elevated glucocorticoids, of which cortisol is a main player.) Note: testosterone is at its highest in the morning, so make sure that a barely within range level doesn't give you the false impression that things are okay, given that levels decrease throughout the day, meaning that a total testosterone level of 400 ng/dl can easily get below 300 by noon. TBI: If testosterone is off, chances are that other pituitary hormones might be as well. According to the research of Dr. Mark Gordon, many times with key hormonal deficiencies can come in clusters because of a head injury that could stretch back even to childhood. He lists four main pituitary hormones that can be affected by traumatic brain injury (which can be as seemingly benign as riding on a jet ski): testosterone, growth hormone, thyroid, and cortisol. Failure to optimize other hormones while only optimizing testosterone can result in lingering symptoms or even make symptoms worse, such as the case with increasing testosterone causing increased estradiol, which in turn increases thyroid binding globulin, thereby lowering thyroid function even more with someone who unwittingly has hypothyroidism. The moral of the story: develop a wide lens when testing hormones. Check other variables, including B6, B12, folate, iron, ferritin, and growth hormone. I would also recommend genetic testing to check for MTHFR mutations, which limit your body's ability to methylate and therefore limits how you process B vitamins, especially folate, all of which are extremely important for mood and energy. Just a few months ago a colleague had a client who had been struggling with what seemed like a mysterious depression and it turned out the client was deficient in a key B vitamin; after starting a cheap supplement his depression gradually went away. You can get at-home genetic testing for a good deal of $99 through 23andme.com, although you have to go to another site (such as geneticgenie.org) to get the raw data provided by 23andme.com interpreted; thankfully these interpretation sites are cheap, many of them under $10. Check psychological issues and find a good shrink. Now we're getting to psychological issues! You can see that we have to peel away the skin or the orange before we investigate whether the fruit itself has problems. Just as many guys start antidepressants without ruling out biological influences, so also some people come to counseling or psychotherapy for anxiety and mood problems and don't successfully resolve these issues because of hidden underlying biological influences. Anytime I see a relatively young client who lacks muscle and complains of inflammation, I immediately think of testosterone, and I tell all my clients with longstanding anxiety and depression to get thyroid ruled out for reasons mentioned above. I am absolutely certain that a few clients who didn't make significant progress in working with me had underlying health issues that could have been resolved with relatively easy testing. Practitioners have created a term for clients who don't respond well to counseling or psychotherapy or antidepressant medication: "treatment resistant". My sense is that they're not really treatment resistant, but that the given treatments offered in psychological settings (e.g., antidepressants, cognitive therapy) don't work because the professionals they're working with are looking in the wrong places. This is why ruling out biological influences is indispensible before getting to psychological issues. Psychological change takes time, and oftentimes this means going to a therapist, who often isn't cheap. So you can tell that there is clearly a time and place for therapy and antidepressants, just make sure you rule out underlying medical issues or else treatment will be less effective. Despite all the clich d and sometimes ridiculous portrayals of therapists in movies and other media, therapy (counseling and psychotherapy, which are basically the same) clearly does work on a general population level, and there's research to support this, including the very powerful .8 effect size for counseling and psychotherapy for presenting issues clients have that bring them to therapy in general (according to statistics, an effect size is a measure of how much bang a treatment gives, with .2 being small, .5 being middling, and .8 being large). Depression and anxiety are daily occurrences for all types of mental health professionals, and so they have the most experience treating these disorders. The only trick with finding a therapist is finding a good one. When I refer clients out, I tell them that aiming for a Master's level therapist (clinical social worker or counselor) will cost them less, but they have a smaller chance of getting a great therapist, whereas if they put down a bit more cash (which might be taken care of by insurance) and went to a PhD psychologist, they have a better chance of finding someone who understands their issues and has a repertoire of evidence-based approaches to handle them. (Make no mistake: there are outstanding master's level practitioners out there and very poor PhD level ones.) Be prepared to change professionals if the one you're working with doesn't seem to be going anywhere after four or five sessions. You can ask them directly about which theories or techniques they use in treating depression and anxiety, and if they say very vague things about "cognitive behavioral therapy" without being more specific or don't mention many techniques, there's a decent chance that they don't really know how to use this approach. Note on antidepressants: antidepressants can be used to treat depression and anxiety. Robert Sapolsky delineates depression along four main lines: depletions in serotonin, norepinephrine, and dopamine, and (as mentioned above) elevated glucocorticoid levels. The first three each have their own version of antidepressant by correcting the relevant deficiency. For example, SSRIs are selective serotonin reuptake inhibitors, which basically cause your brain's synapses to allow for more serotonin to reach adjacent neurons. The problem I see with antidepressants is 1) you don't know which depletion you might have with your particular depression (although Sapolsky notes that depressions involving depletions of serotonin, norepinephrine, and dopamine involve obsessive thinking/rumination, lack of energy, and lack of pleasure, respectively), so taking antidepressants can take a good amount of trial and error while side effects mount on top of already sometimes dreadful psychic pain; and 2) antidepressants don't have a great track record in terms of treatment, working essentially as well as placebo except in cases of more intense and debilitating forms of depression. 1) For depression, read Stephen Ilardi's "The Depression Cure", which highlights six streams of evidence-based non-pharmacological approaches to treating depression, which includes upping omega-3s and lowering omega-6s, exercise, social involvement, sunlight exposure in the morning or using a 10,000 lux lamp, reducing rumination (thinking over and over of things that perpetuate your depression), and getting good and consistent sleep. Yeah, I listed them all, but the book is worth the cash because it goes into great detail about each of these approaches, including the research behind them and very useful practical tips. 2, 3) Mindfulness meditation is currently all the rage in psychological circles, and also has a lot of great research behind it for treating depression and anxiety. A lot of this happens through what psychotherapist and researcher Stephen Hayes calls "cognitive defusion", where through mindfulness you learn to stop identifying yourself with your ideas and learn to see them as passing phenomena, effectively turning down the "stickiness" of thoughts so they don't stay with you. An almost universally-agreed upon idea in counseling and psychotherapy is the idea that thoughts influence mood and emotion, and mindfulness works through changing how we relate to our thoughts. I highly recommend "The Mindful Way Through Depression" by Teasdale, Williams, and Kabat-Zinn for depression, and "The Mindful Way Through Anxiety" by Orsillo and Roemer for anxiety; both books come with recordings and treatment plans for overcoming your depression or anxiety. 4) Another favorite book, Young and Klosko's "Reinventing Your Life", gets deep by examining what are called schemas, or very deeply held beliefs and filters that get activated at different times, creating our depression or anxiety. An example is a defectiveness schema, which involves the belief that you are defective or unlovable on a very basic level. If you can remember a time in your life when your depression or anxiety weren't there and then seemed to really take hold after one or more key experiences at specific times in your life, and you've ruled out biological influences (see above), then you likely have a schema that's responsible for much of your suffering.